PhlatLight LEDs to the rescue? A company that sells light sources to the projection TV industry wants to use LEDs to transform the way HD TVs and even buildings are lit. And in order to do so, it recently walked away with $72 million (£36m) in a round of funding that it says it will use to "change our lives". Luminus Devices is working on a type of LED that combines the qualities of both LEDs and lasers. Dubbed PhlatLight, the hybrid LED creates an environment where light can be controlled much like a laser, but can also extract greater intensity per watt, like an LED. Although this should improve the quality of HD TV pictures, Luminus was forced to raise the additional cash because of its inability to bring the cost of PhlatLight down to a tenable level. 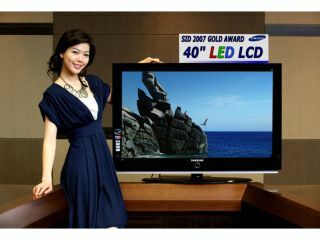 According to the company, its desire to break out of the projection TV business and become a major player in the LED TV industry relies heavily on its ability to bring the cost of the LED backlight down and increase the effectiveness of its product. So far there's no word on when an LED-backlit screen will be available from Luminus Devices, but the company did say that its new round of funding will move it forward and bring improvements to PhlatLight.